If you’ve ever found yourself gazing around your home and thinking, “what this place really needs is a mammoth”, then we have some good news for you. 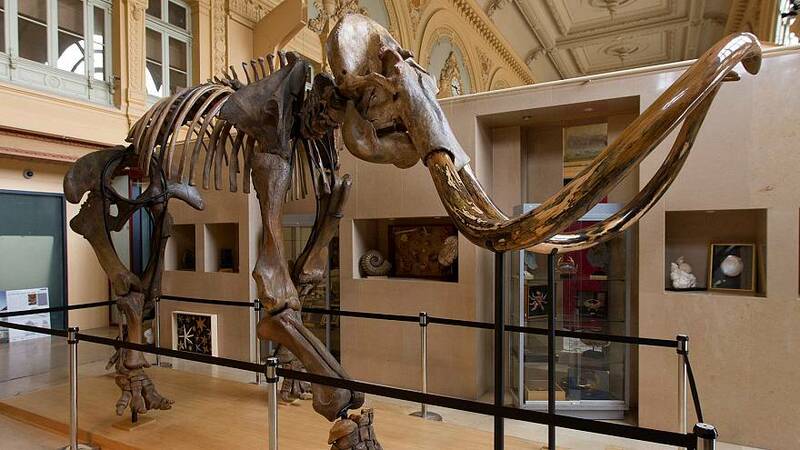 A mammoth skeleton measuring five metres long and towering more than three metres high is about to go to auction in Lyon. Discovered in Siberia and thought to be 15,000-years-old, the skeleton is an “exceptional specimen,” according to art expert Eric Mickeler, and comes armed with three-metre-long tusks that weigh more than 160 kilos. Clearly, not just any home or building can hope to accommodate the beast. “If you want to put it in a room, it must be big,” said auctioneer Claude Aguttes. However, the hope is that that a major museum or business may come in for the skeleton when it goes under the hammer. “There are not 50 people in Lyon who could maybe put it (at home), but in the world there are for sure 500 or 1,000 who could, if they want, put it in a room, in an apartment hall, in a company hall. Everyone will be pleased and it is funny”, said Mr Aguttes. The specimen is expected to fetch somewhere in the region of 500,000 euros when it goes up for auction on December 16th. That may seem like a lot for a collection of bones, but if you run a business that’s in need of a boost, the skeleton could be just the thing for you. According to Mickeler, a wine cellar that splashed out 150,000 euros on a mammoth skeleton in 2006 doubled its turnover in just a year.